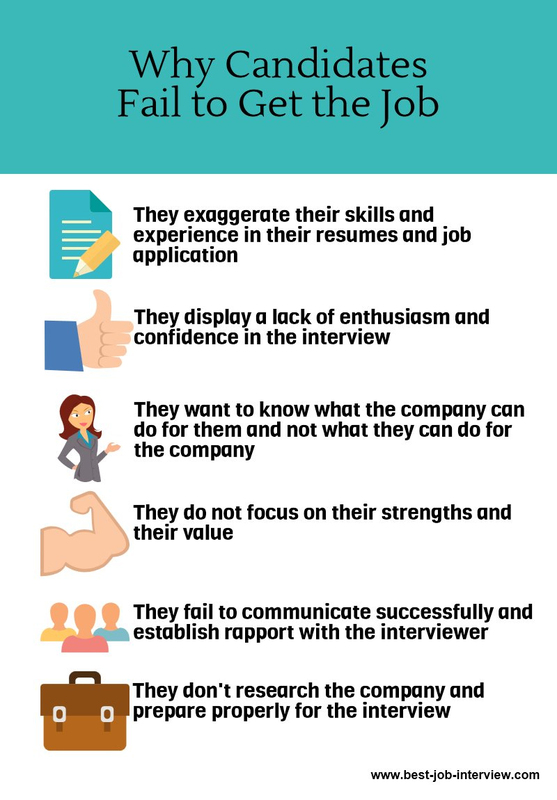 Summary: After bad job interviews it can be difficult to recognize exactly what went wrong and why. Getting a rejection letter or just not hearing again from the company is disappointing. Bad interviews happen to all job candidates at some point but how you fix your job interview mistakes is the key to future success. First, be encouraged by the fact that you got the job interview in the first place. This means that your resume and letters of application are doing their job and creating the right impression. Focus on the interview itself and spend some time considering why it didn't go well. 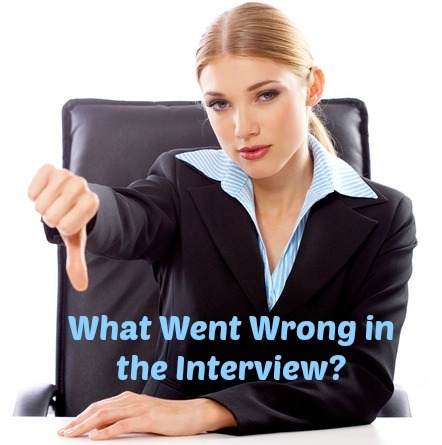 Here are the common ways to mess up an interview. You arrived late for the interview. This is a bad start from which it is very difficult to recover. You did not greet the interviewer properly. A firm handshake, addressing the interviewer by the correct name and title and making good eye contact all create a good impression. Your interview dress was inappropriate. Think back to what the other people in the company were wearing including the interviewer. Did your style of clothing fit in with this? Whatever people say, your appearance is a key element of your initial impression. Was your personal grooming good and were your clothes clean and neatly pressed? Find out the right interview dress code for your next job interview. the interviewer had to repeat or rephrase the same question back to you a number of times. your answers were too general and the interviewer asked a number of further questions to get specific details. you struggled to answer common interview questions that explored what you knew about the position and investigated your motivation and suitability for the job. You did not know enough about the company. Walking into an interview without preparing by conducting some research on the company will result in bad job interviews. Not having done your homework shows you up as uninterested and uncommitted. Not being ready for the interview questions results in tripping over your answers and focusing on irrelevant information. Almost every job interview will include common job interview questions that you can easily prepare for. Sample answers for "Tell me about yourself"
Job interview questions including "What are your strengths and weaknesses? ", "Why should we hire you?" and "What are your goals?" are almost always asked. You can prepare your answers to typical interview questions using the sample interview answers and practice them. This way you will be able to answer fluently and concisely. You were unable to respond appropriately when asked "Do you have any questions for us?" Prepare some good questions to ask in your interview. Use the job interview question list to help you with this. Interviews can make you very anxious. One way to deal with this is to be well prepared beforehand. Use the interview checklist to make sure you have everything covered.Good preparation increases confidence. Spend some time before the interview collecting your thoughts. Use these stress-reducing techniques to reduce interview anxiety. Bad job interviews happen when the interviewer feels little or no connection with the candidate. Failing to establish rapport soon in the interview creates an uncomfortable situation. To establish rapport you need to match your interview communication style to that of the interviewer. it is important to leave the interviewer with the right impression. How you close your job interview will determine this. If you conclude that the reason you were unsuccessful lies with one of these areas the good news is that it is entirely fixable! You can work on it and avoid bad job interviews happening again. If you don't think it was one of the above then you need to investigate further. One way to get real and valuable feedback on how you come across in an interview is to ask a friend to role-play a mock job interview with you. Ask for honest feedback on how you come across. How do you recover from a bad interview? You can turn the negative interview into something more positive by contacting the interviewer to thank them for their time and ask them to keep you in mind for future openings. Or you can send an interview follow up email. This is a positive step that helps to keep you motivated. Most important, don't give up. Learn from the experience of bad job interviews and use the knowledge to make sure you are well prepared to ace the next interview! Most job interview mistakes can be avoided. Please Note - This article is owned by Best-job-interview.com and permission to republish it must be granted by the authors in writing.